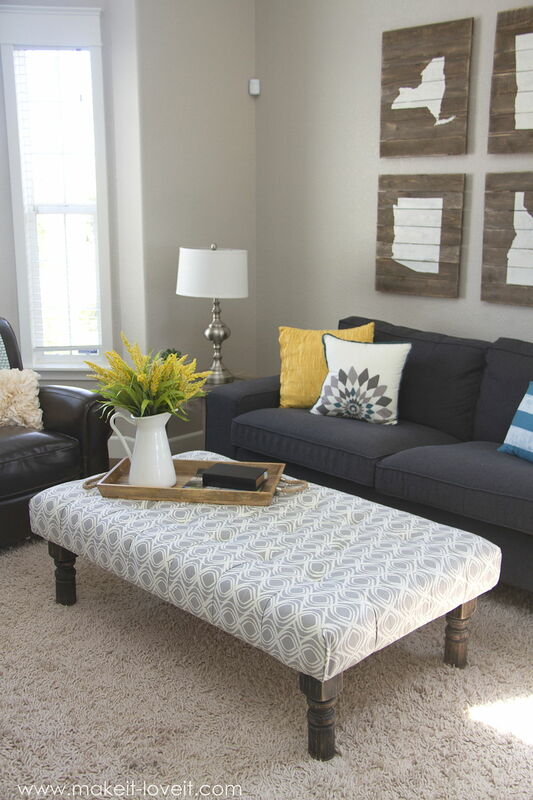 A few design tweaks will turn a regular living room into one the whole family can enjoy. In a living room that houses one dog, two grownups, three kids, and four remote controls; pleasing everyone can be tough. 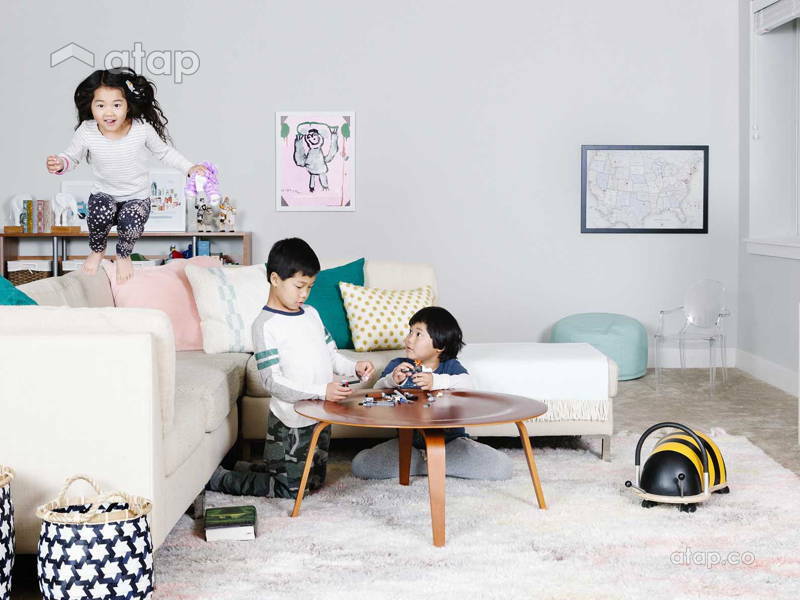 While adults prefer a functional and sophisticated living room, kids enjoy playtime and instigating Patches’ own tail-chase. Assembling a room that will bring the whole family together while affording each member his or her preferred activity requires just a bit of thoughtfulness with equally little cost! There’s a good chance that your toddlers will draw on a wall in that 2.5 seconds when your back is turned, so if you can’t beat them, why not join them? With chalkboard, whiteboard, or washable paint sheen, that is. 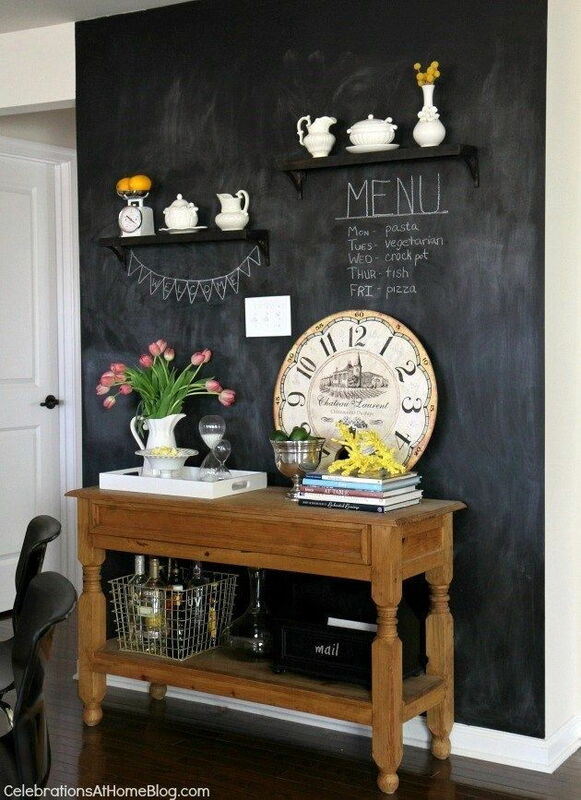 A chalkboard in the foyer or near the dining area can double up to feature welcome notes or the day’s menu. 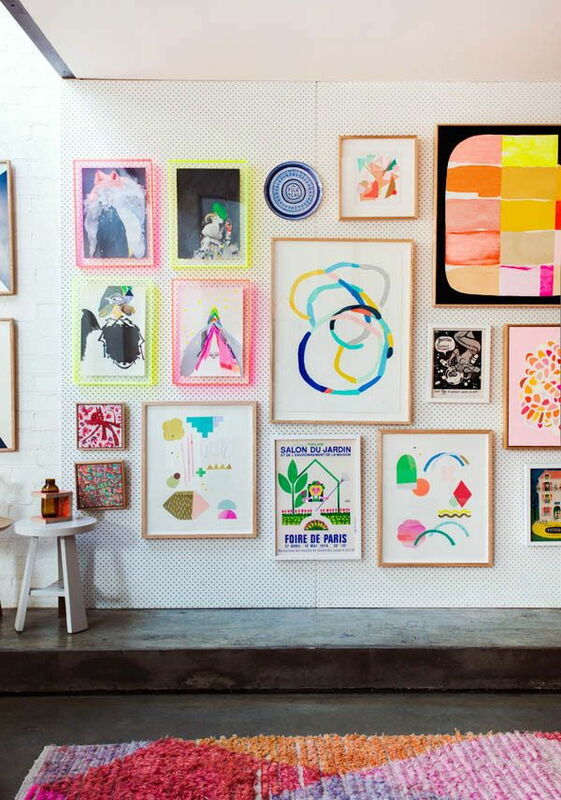 Speaking of kid art, instead of banishing them to the fridge door, why not frame them with chic photo frames and hang them alongside grownup art on a feature wall? This gives the room character that accurately reflects its inhabitants. If your child isn’t exactly Picasso, include her into wall art by hanging framed photos of her, calligraphy writing of her name and birthdate, or even hand prints. The same way you shouldn’t get no-turning-back walls, get floors that are easy to clean and hard to ruin. These include tiles, wood, vinyl, and laminate. More about easy-to-clean flooring types here. 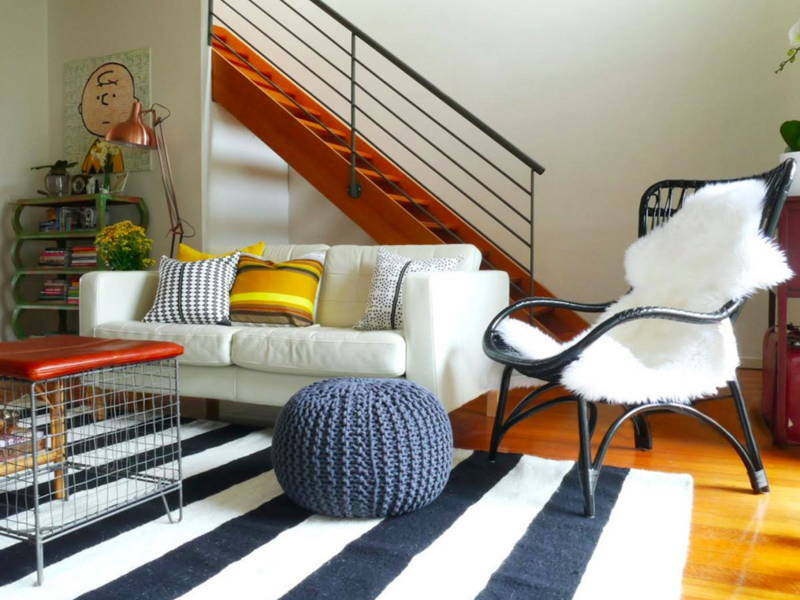 To create warmth and encourage mingling in the living room, add rugs. A good trick is to use rugs with busy patterns and darker colours so no one can judge you for fallouts from munching on your 8-year old’s cookies and then washing them down with red wine. Consider outdoor rugs for a small area near the door or at a corner in the room where your kids and pets can hang after playing outdoors. For the couch, choose dark-coloured ones, or make sure that it has washable covers. A prissy white couch might be gorgeous, but not at all inviting if everyone from your rebellious teenager to your even more rebellious cat have to be too careful around it. We love leather couches too, they wear beautifully and soften as they age. Sofa beds, L- or U-shape couches, and recliner couches are also options for a family-friendly room as they can accommodate naps and rest times. This encourages the family to stay within the room instead of retreating to their rooms for rest. Besides couches, additional seating like poufs, large pillows, and benches with storage are inviting, easy to move around, and budget-friendly. 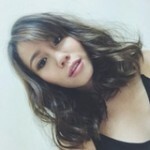 They’re great for having extended family or playdates over. We cannot gush enough over multipurpose furniture because of how practical they are. 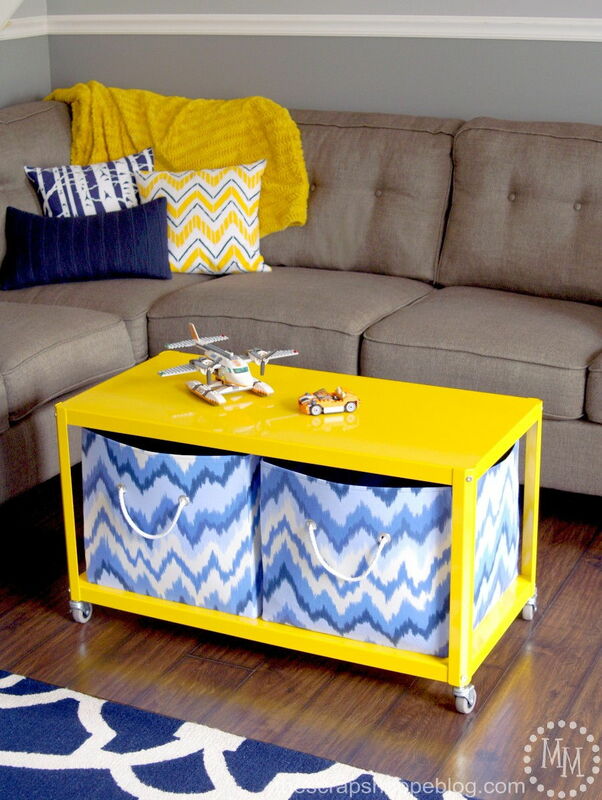 An ottoman is a good soft-edged coffee table (for young kids) and great additional seating. Trunks with seat tops can store strewn lego pieces, books, and more. A step ladder, on the other hand, is a budget-friendly side table and plant holder. With more people using a room, there’s just going to be more stuff. Clever storage does away with clutter which deters the family from the room. We love bins and baskets because they’re a fuss-free way to stow things away. Plastic bins can be chucked into cupboards or shelves while fabric baskets are light enough for young children to handle. This means that they can be taught to keep their own toys after playing with them. While one-eyed Mr. Bear can hide in a bin when not being played with, more presentable items can be displayed in see-through jars – think crayons, Legos, and slinkies. It’s storage and display! A family room should be easy and fuss-free, but that doesn’t mean that precious china and collections have to move out of the room. Instead, put them in top shelves or in locked display cabinets, out of reach from little fingers and paws. Although a family room encourages togetherness, the family doesn’t have to be doing a collective activity all the time. In fact, designating different areas for different functions keeps the family in each other’s companies for longer as they don’t have to leave the room to do different things like read a book, do homework, or watch TV. Curtains make good partitions to section off nap areas and reading corners. Otherwise, book cases and screens are cost-efficient space dividers. Learn more about dividing an open-plan room here. Think about what your family or kids enjoy doing, and designate areas within the living room for those activities. For example, a window seat with book storage for reading, a small table with a few chairs for homework. Or even a short table and floor cushions for boardgames. This should be a separate area from the main area in the living room for guests or the TV. An elegant, neutral colour palette might be fine for an adult, but can be too dull for a family. 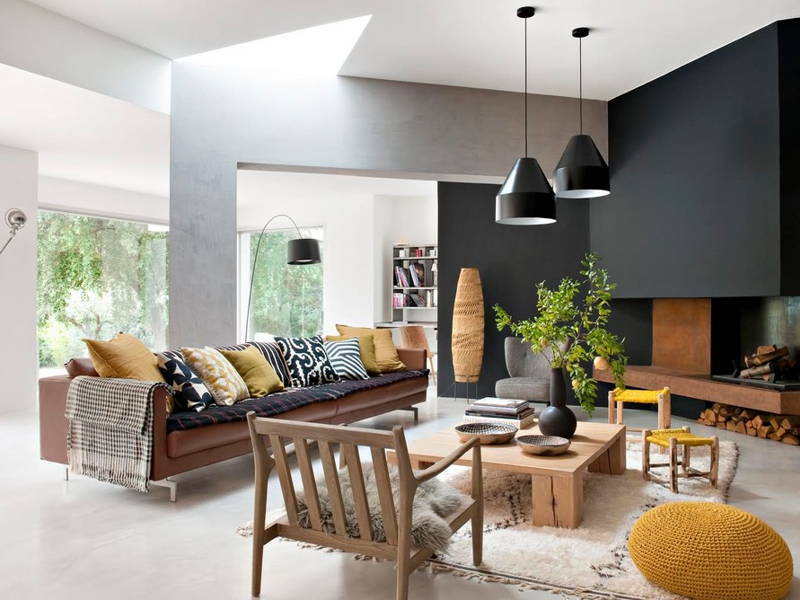 Incorporate pops of colour to enliven the home and make it more inviting. In fact, go a step further to include the family by incorporating the kids’ favourite colours. 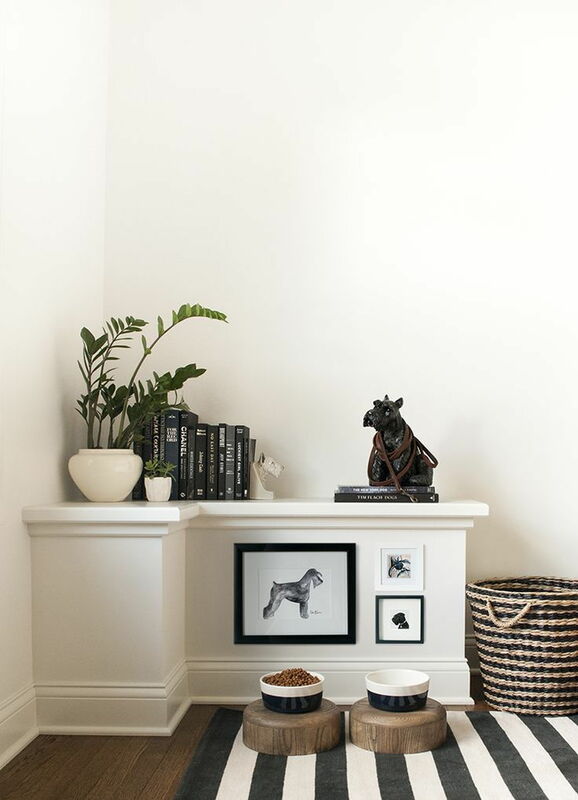 If that becomes too colourful and tacky, add in the dog’s favourite colours to balance them out: grey and dark grey. With young kids, a sword or swordfish display is out of the question. Opt for hazard-free accessories like throw pillows, blankets, and books. 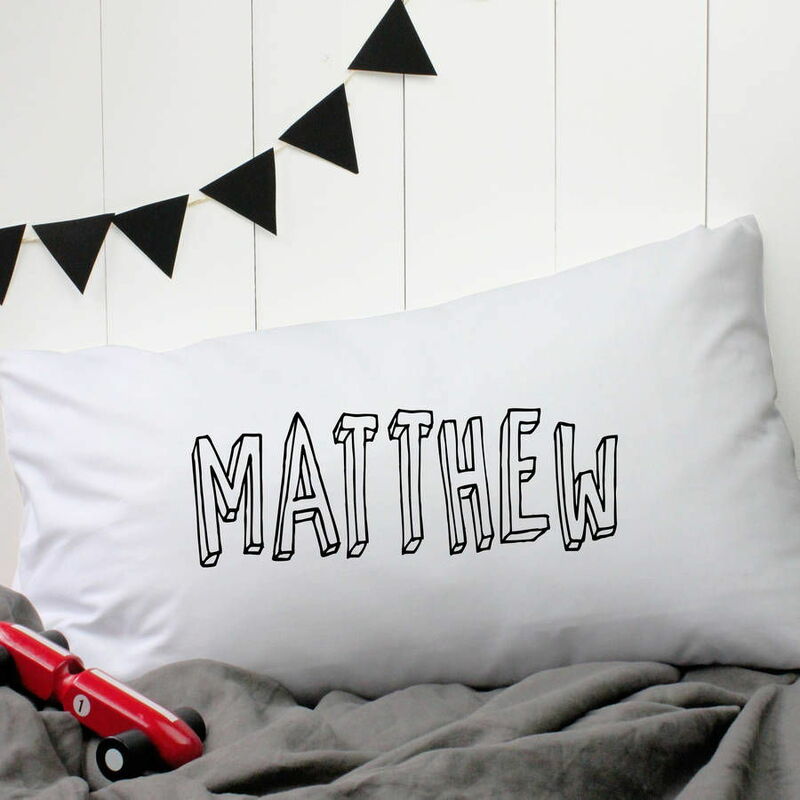 To personalise the room, add your children’s names or art to the pillows!